A. I knew from my early 20s, when I first took on positions of leadership, that what was going to distinguish both me and my organization from others in a very crowded field was my ability to communicate. At that time, I began to make it a priority in my life to perfect the craft of communication like an athlete does their sport, and, more importantly, to recognize that the practice and commitment to craft never stops. I made it the catalyst and anchor of how we did everything in my organization where I hired literally thousands and thousands of people in financial sales and financial sales management and leadership positions. The number one thing we always focused on was communication. It wasn’t until I moved to Southern California about seven or eight years ago now that I accidentally stumbled upon Arthur’s Work and that was a huge transformation for me. I used to relate everything to communication and I knew kind of serendipitously that my voice was the portal, but I had no idea I could have so much control over it. Arthur’s Work just transformed everything for me – ever since it has become an ongoing staple. A. Arthur and I were sitting in his studio creating some new content. We were specifically coming up with ideas on how best to share his message and the moment came to me very vividly when I saw him speaking and demonstrating a “before and after” of how Vocal Awareness works and how it impacts people. When I saw him in the “after” part, that’s when it hit me that this is not only an option for leaders. When people begin to understand and master Vocal Awareness their confidence level soars but, more importantly, their sense of self-worth becomes much more grounded because it gives them an ability to understand that they are a lot deeper than they think they are. It was literally like a 30 second flash when I made the shift that Vocal Awareness is for everyone. A. When I introduce people to Arthur’s Work, I relate it to improv. 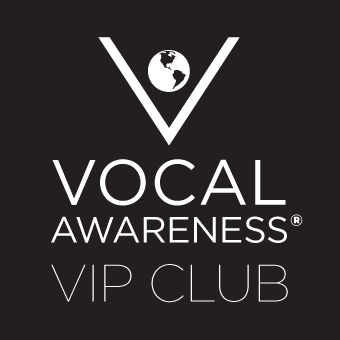 That once you are engaged with Vocal Awareness every moment is like stepping onto an improv stage having complete confidence that they will be able to, not only engage their audience, but keep their audience in the story. They will be able to do it through their Voice. Many people whether introvert or extrovert, walk into a room full of people feeling some level anxiety as to how the relationships and interactions are going to unfold. With Arthur’s Work like with great improv training you simply trust you’re going to know exactly what to say and how to say it. Arthur’s Work has allowed me to create a whole new level of engagement with the people I’m speaking to which is that literal voice connection. In the context of the work I do a lot of times in 20 minutes I’m going to engage a stranger in getting to know him or her very quickly. In the past I used to schedule 30 minute conversations and get to know them and tell them a little bit about what we’re doing and so forth and so on, but as our business expanded, I really couldn’t do that anymore. So, in a compressed time frame, not only do I have to get across my genuineness to the other person, but at the same time I have to let them know that, at this moment in time, there is nobody and nothing that’s more important than sharing this information or having this conversation with them. In the past prior to Arthur’s Work I was very conscious of the importance of communication, about the importance of being present, about living in the other person’s shoes. What Arthur’s Work has taught me is to not only be able to take that to the next level but, now, to really be able to connect quickly and to the soul with the communication. In every context I like to speak with people and not at them. I feel very, very confident that I can go on any stage and have a conversation with people.